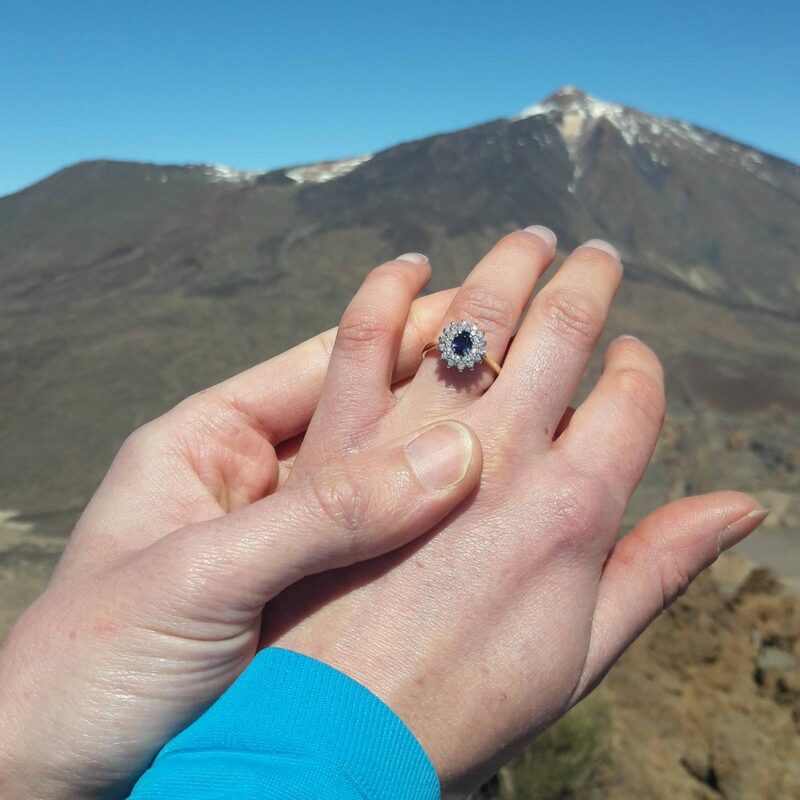 On our third day on the island of Tenerife, Thursday 22nd February, something very special happened and I wanted to share it with you. 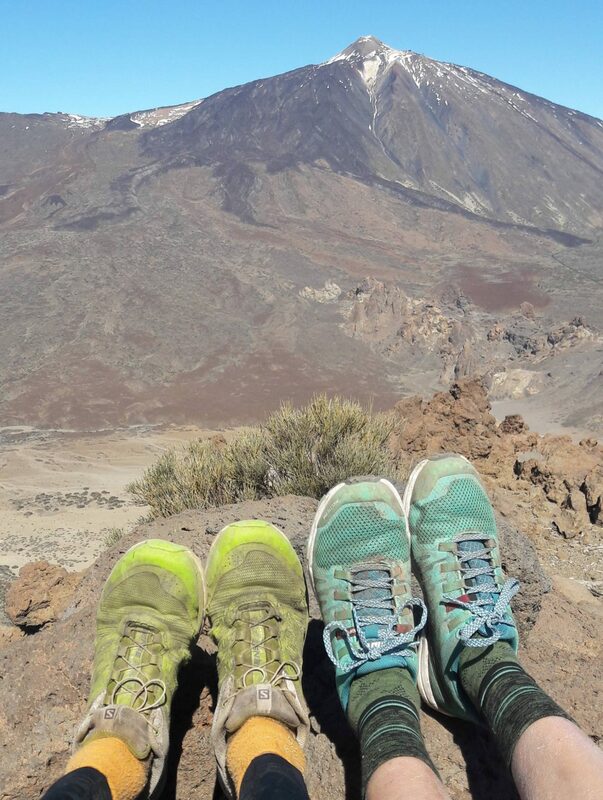 We’d hiked/run from Las Lajas up through the forest to find the ridge looking across the valley to Pico del Teide – the volcano whose summit reaches the highest point in Spain at 3718m. If all had gone to plan we were to be reaching the top of the mountain at sunrise the next morning, but the weather had other plans and unfortunately the mountain refuge we’d hoped to stay at was closed as were all the trails around it. So, to my complete surprise, Nige took his opportunity as we stared over the incredible caldera below us, just us two and the mountains surrounding us. As I scrambled up onto a rock for what I thought was a snack break and photo taking opportunity, I looked down and Nige was there on one knee, a small box in his hand. A simply beautiful ring with diamonds and a striking sapphire in the centre was glinting in the sunshine and after I quickly said yes! it was on my finger, us both grinning from ear to ear! 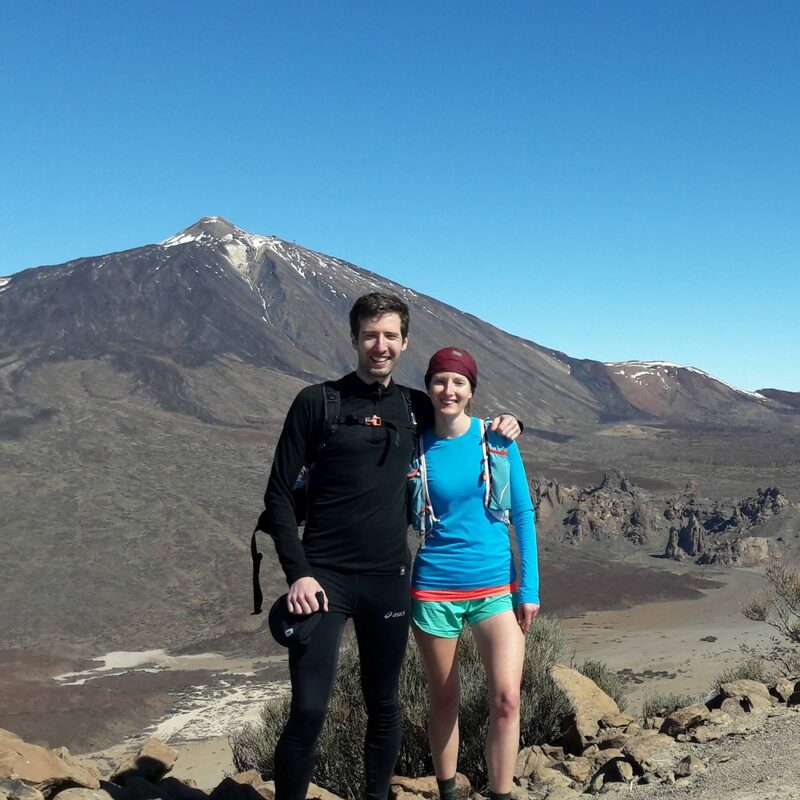 The perfect moment – while we were running, together, our favourite thing to do, in the most beautiful location with the sun shining down on us. A spring in our step, we captured the moment on camera to share with our loved ones then continued running, easing our way along the ridge and then down to the Parador in the valley below us for celebrations. More running adventures together coming very soon! 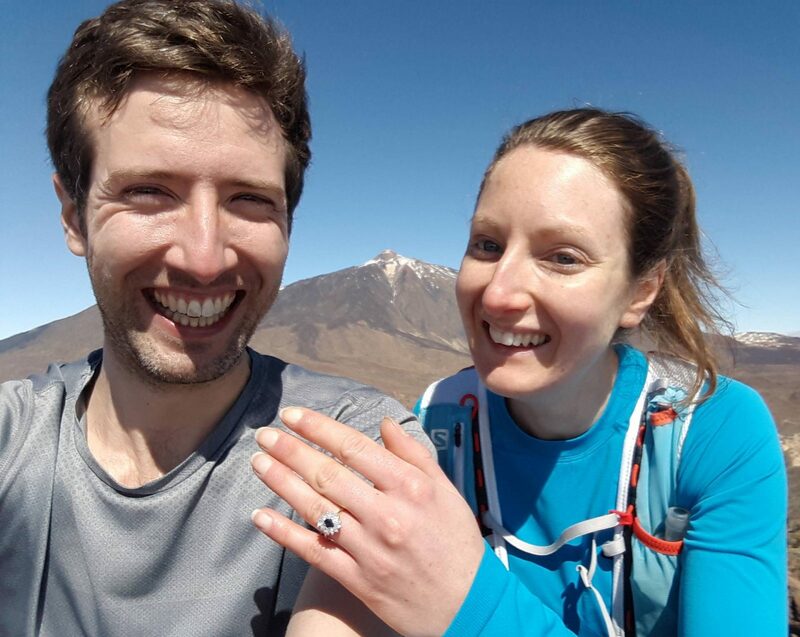 What a beautiful place for this to happen – really special just the two of you and the mountains. Thank you! it felt perfect! This is so lovely! What a beautiful place to get such happy news and what a perfect way to pop the question! Hi, Amy I loved following your post on Instagram when you were out in Tenerife. I’m not thinking of searching for some winter sun and heading out there in October half term. Whefe did you stay? Would you recommend it? Was it easy to get to the trails? Also Did you plot the routes on your Suunto or use a map and the signposts? Thanks for reading Sarah! We stayed in a little town called Vilaflor, quite remote but perfect to get to all the trails. We just used a local map for all of our route plotting but would be easy to use your Suunto too, the paths are very well marked and well-trodden, getting lost isn’t that bad, it’s beautiful there! Have a read of all of my other posts from the island for our routes, and enjoy!